You are currently browsing the Archaeofacts.com archives of Musings for the day Monday, August 1st, 2011. Here’s yesterday’s mushroom 11.5 hrs later, that is, about 6:30 this morning. Today’s big news is that the cataract patient (CP) has permission to drive again! 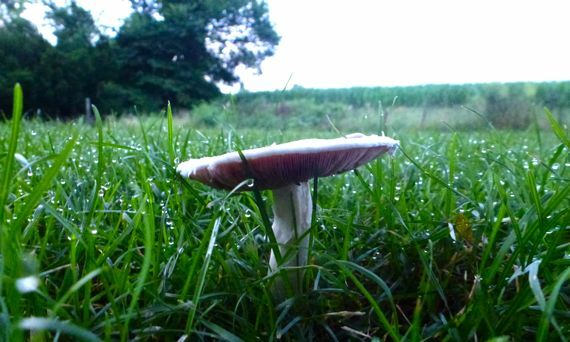 Does it mean anything that the CP is the Botanist, and he would prefer not to find mushrooms on his dinner plate—and yet this robust sample has unfurled its gills in his yard? And remains unpicked, mind you….